me to compose this note. the real story and show public support for saving this American Icon. Thank you for any support and action!! is running out quickly. That’s why today we ask you for your support, again.
. This will help you be better informed when speaking with the committee. The head of this Committee is Senator Jay Rockefeller of West Virginia. and the importance of preserving a piece of American history. Thank you so much for your support. Together we can make it happen! Gee, I didn't know it was against the law to steam down a river. Maybe there's something special (other than her history) that requires Congressional approval. No law against it, except the laws that force fire-retardant materials for construction, something that can't reasonably be done with the existing vessel. So it won't be on the river without an exemption, which this bill is trying to gain. On Wednesday, September 25th 2013, the House has approved the bill that would grant the historic Delta Queen a 15 years exemption from a fire-retardant materials construction requirement. The House voted 280 to 89 in favor of the Delta Queen with almost all Republicans voting with “yea”, while Democrats voted 82 to 84 against the bill. The bill still has to pass Senate, where the Democrat Senator Sherrod Brown [D-Ohio] leeds the efforts which co-sponsors Sens. Rob Portman [R-Ohio], Mary Landrieu [D-La. ], and David Vitter [R-La.]. After passing the Senate as expected by Delta Queen supporters, the bill eventually has to be signed by President Barack Obama who as a Senator had been supportive of the Delta Queen exemption back in 2008/2009 but didn’t actively support the case while running for president. OK, I called the committee office, plus my state's two guys, and suggested they pass 1022. Let's all let the senators hear from us. Good luck guys. She needs to be saved. Yes, I second my fellow Aussie, David's comment. Authentic national heritage stuff needs to be preserved if at all possible....and it seems that with a little give and take....it is possible here. In the near future, my wife and I are planning to take a Mississippi river cruise and its far more attractive to us to do so on a genuine river boat than a fake. Dan's posting has it right. Because of the safety systems on board, and because she's never more than 5 minutes from shore, and taller than the waterways she runs in, that exemption was granted since the law went into effect, until 2008, when the boat became a pawn in a union battle, and the exemption was not allowed to be brought to the House floor, so it died. Now we have real chance to get the boat running the rivers again, and we need help, partially because the American Cruise Lines has hired a lobbyist to campaign against the Delta Queen so she can't provide competition to their riverboats (faux paddlewheelers). Of course, the DQ's passengers aren't the same ones that would ride "those barges" so we don't know what ACL is afraid of! Please help us return this American Icon to America's waterways! Why not just call the White House at 202-224-3121 and ask the President to sign an Executive Order? He's demonstrated a strong willingness to use those in the past. That way, you don't have to worry about retiring Senators. In all seriousness, I wish you luck in your endeavor. Show the president (and I use that term loosely) that boat, and all he and his advisors are going to think of is cotton and charcoal lighter fluid. That has actually been proposed in the past. When running for office, he told Kentucky that he would help the Delta Queen. Afterwards he said, "What boat?" Time is running out, pleas call your senators and the committee!! 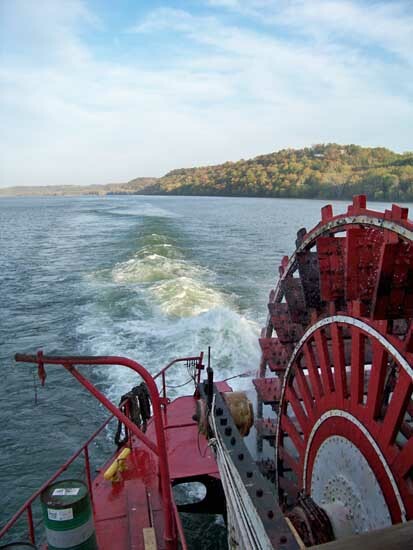 I grew up on the Ohio River and remember the Delta Queen, boating in the wake behind the paddlewheel was a real blast. I have a video of the steamboat race in Louisville but it is way too big to post. I started a new thread, as there has been a major change in the Legislation--a NEW bill has been created in partnership with the new Delta Queen owners and the Senate Transportation committee. We need you now to call your senators to approve this bill, S-2924. We need your help! With Congress adjourning on December 12th, we have a narrow window of opportunity in which to return the historic Delta Queen Steamboat to overnight passenger service. As our country’s last historic steamboat, the Delta Queen is the last link to our nation’s 200 year history of overnight passenger transportation. 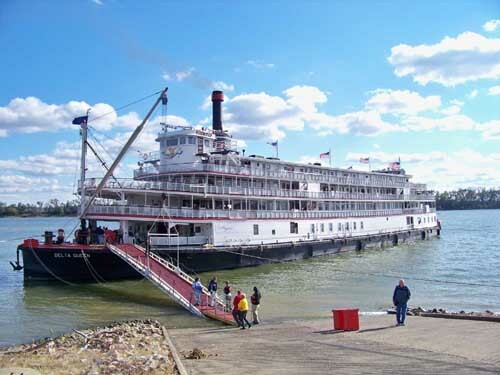 Legislation that would enable the Delta Queen to sail the Mississippi river system once again has passed the House of Representatives and is pending action in the Senate. Time is running out this legislative session, so please urge your senators to support advancing S. 2924 before the 113th Congress comes to a close. Please call your Senators today via the Capitol Switchboard (202) 224-3121 and help us return the Delta Queen to our nation’s waterways. Thank you for letting your senators know that their leadership in saving the Delta Queen and our maritime history is important! P.S. For more information about the Delta Queen and our campaign to save this National Treasure, visit http://savingplaces.org/treasures/delta-queen. I thank you for your support, and I now return you to the world of Model Ts!